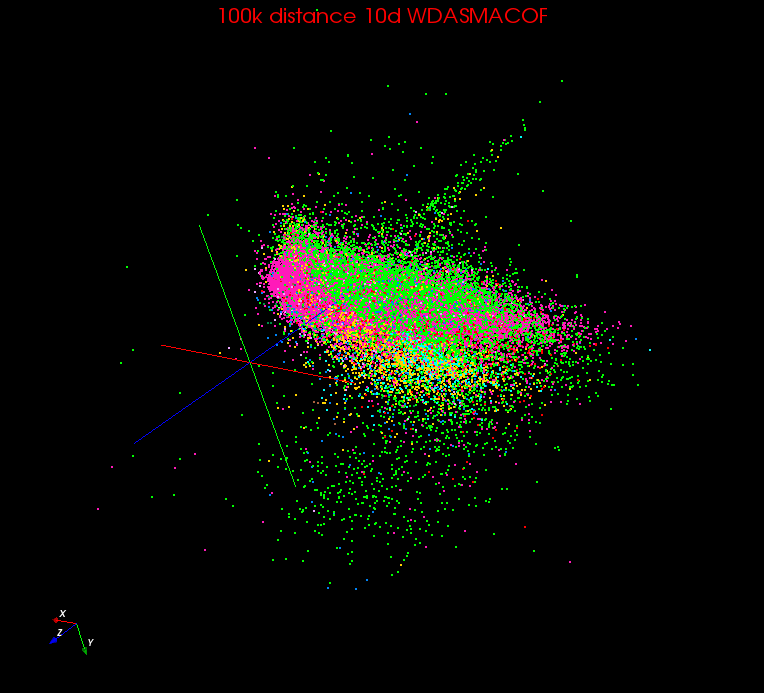 The following presents the heatmaps for the 5d and 10d data after being mapped by unweighted DA-SMACOF. 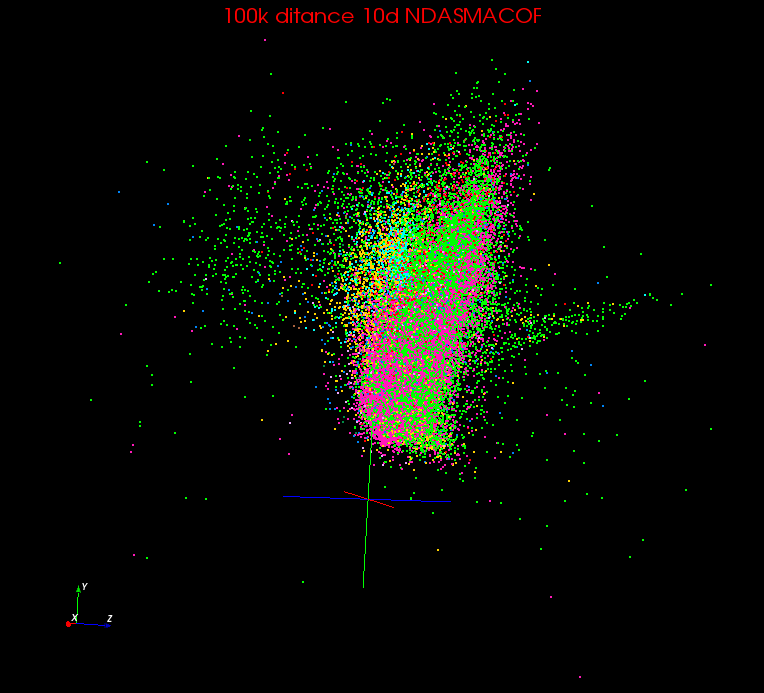 Column 15 and 16 are two z values, denoted as z_vi and z_pipeline. 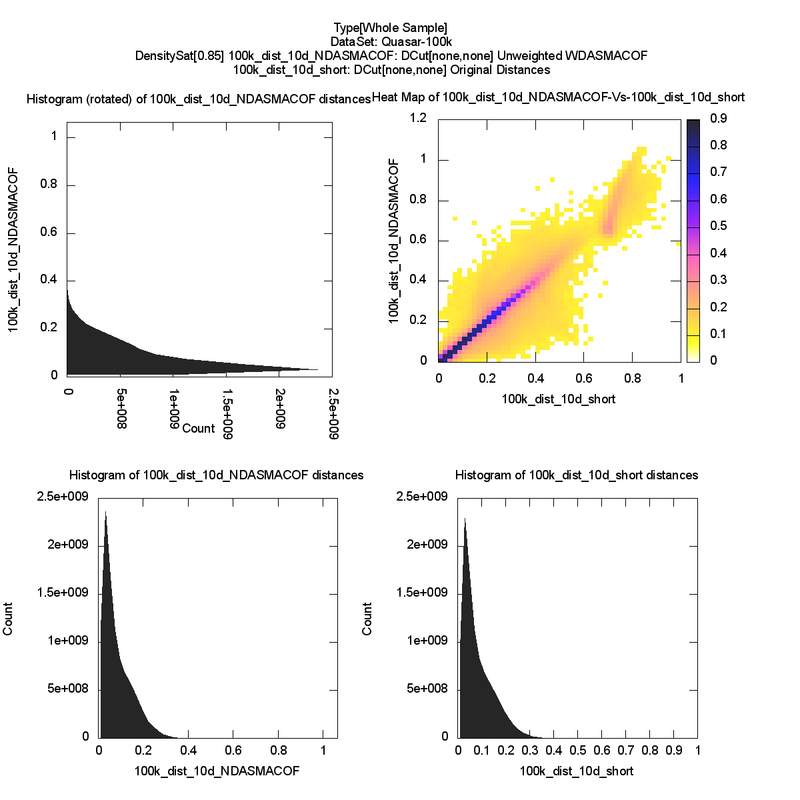 Column 17 is the error measurement for z value. 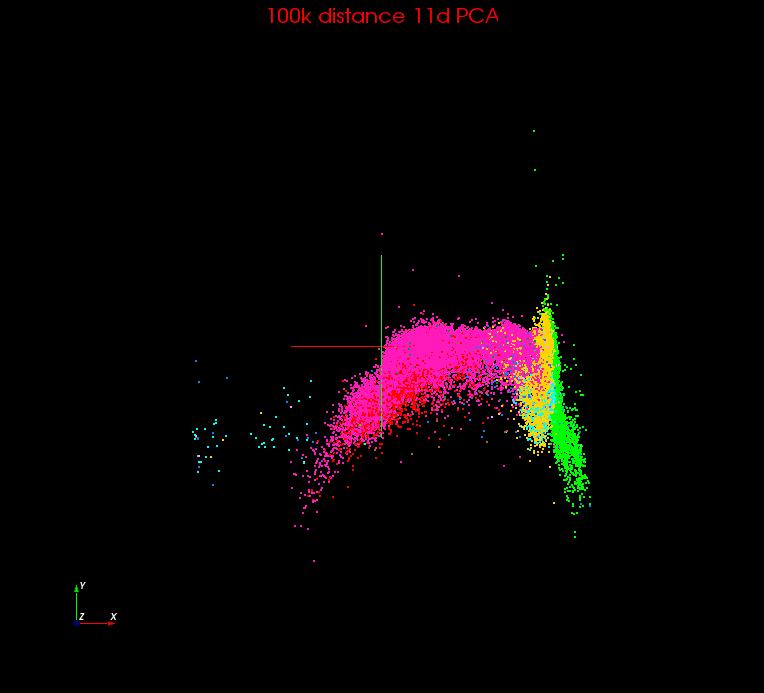 Calculate the distance 5d plus z_vi (distance 6d), error 5d, distance 10d plus z_vi (distance 6d) and error 10d. 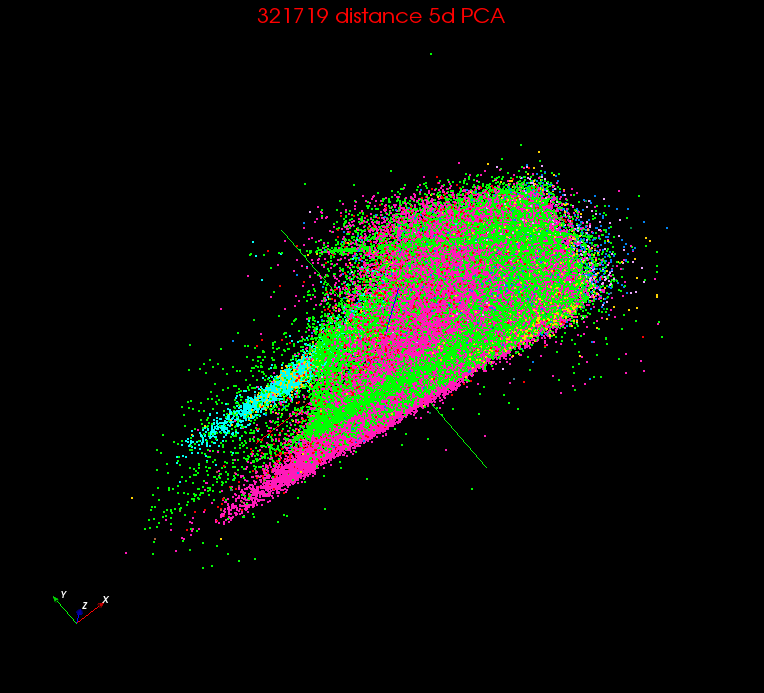 The error is given as e(i, j) = sqrt(sum(error(i, k)^2 + error(j, k)^2)) where i and j are point i and point j, k is the dimension as from 1 to 5 or 1 to 10. 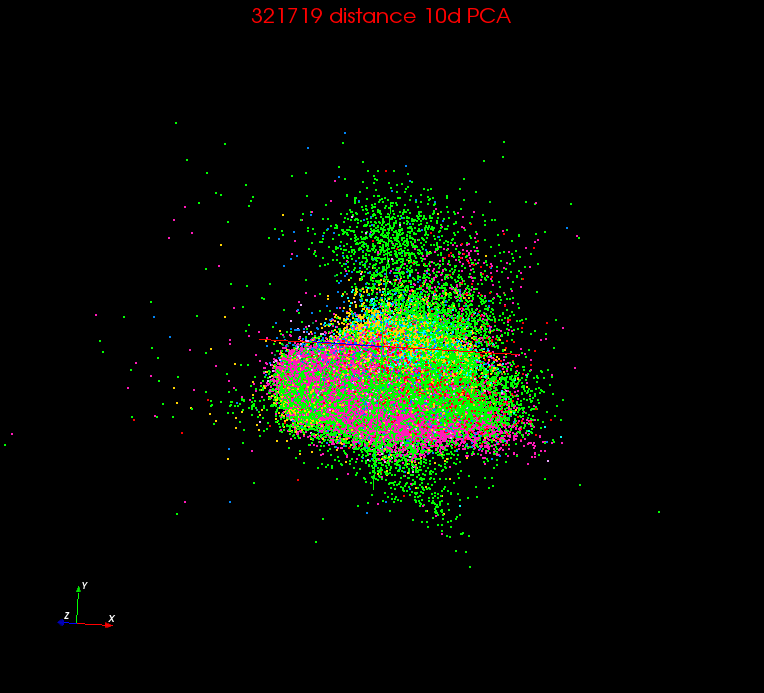 And the weight can be calculated as: w(i, j) = 1 / e(i, j)^2. 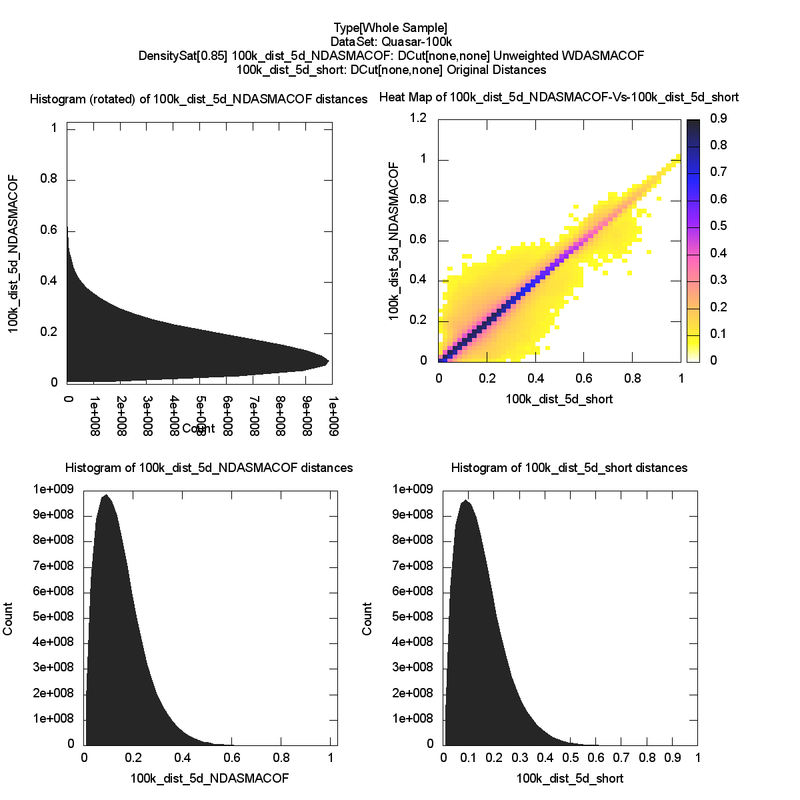 Note that for some of the cases, z_vi=-1, and since z_vi should always larger or at least close to zero, so all the z_vi = -1 case, the z_vi is replaced with values from z_pipeline. 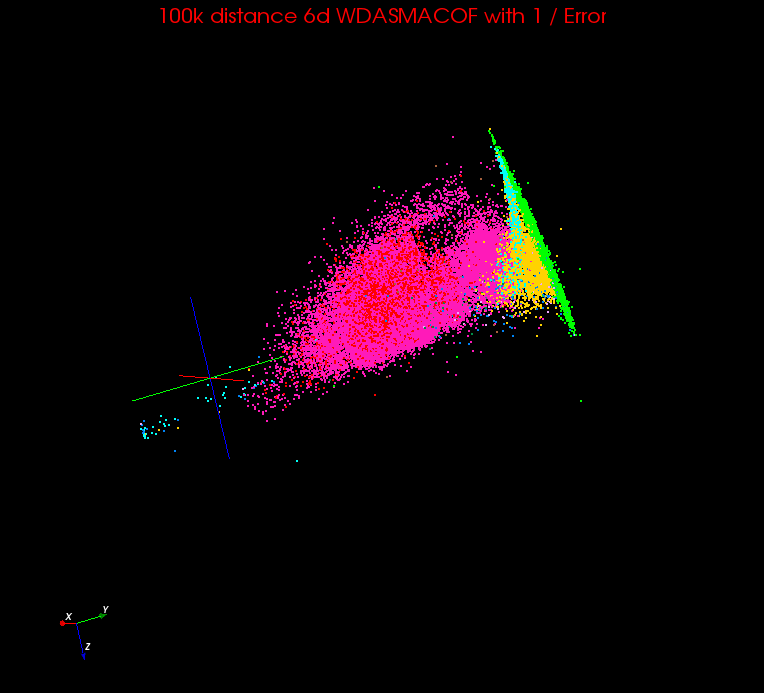 Apply WDA-SMACOF on 6d and 11d data using 1/error as weighting. 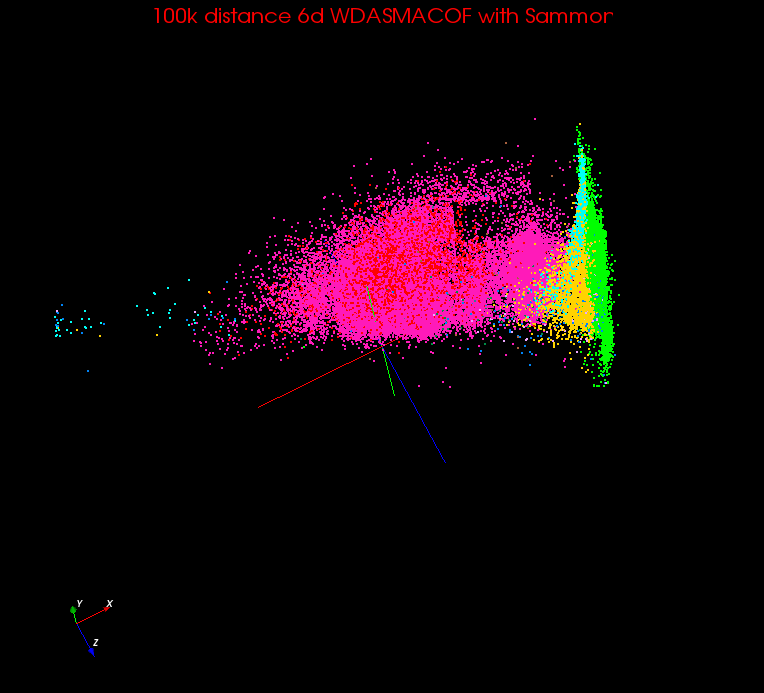 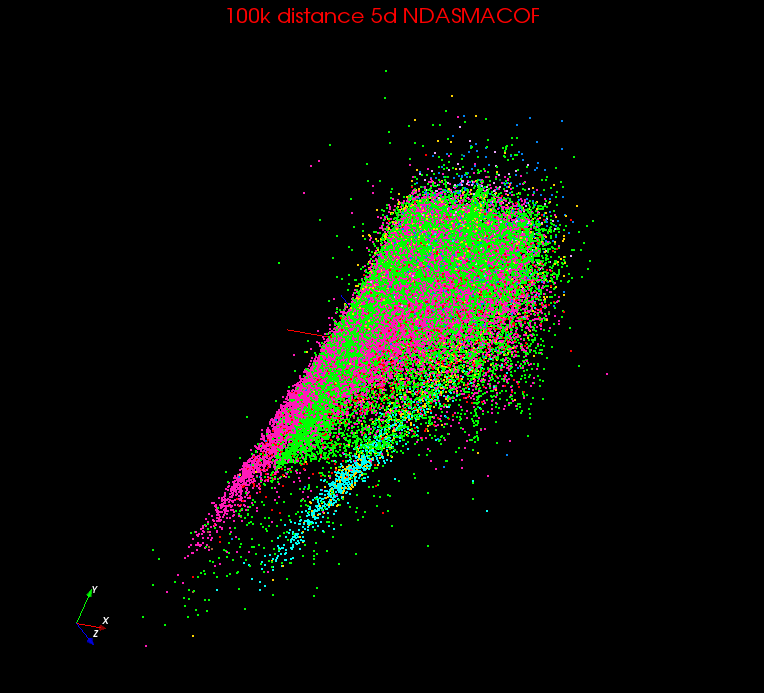 Apply WDA-SMACOF on 6d and 11d data using Sammon's Mapping. 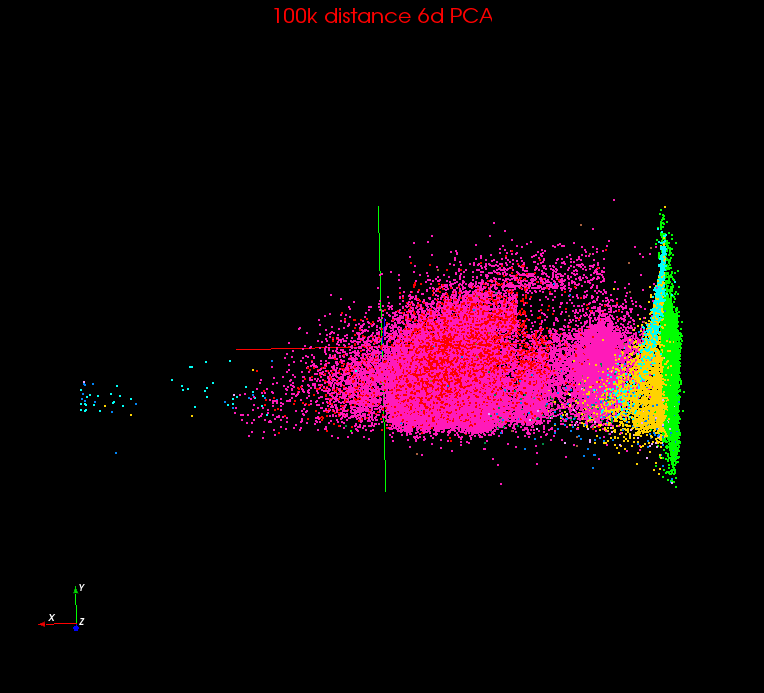 Apply PCA on these dataset. 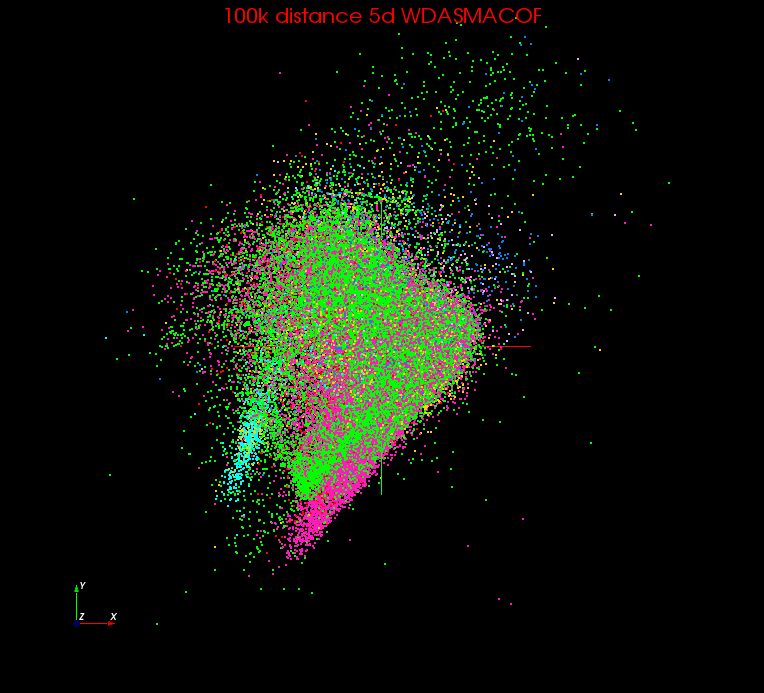 Apply WDA-SMACOF on 5d and 10d data using with weighting.